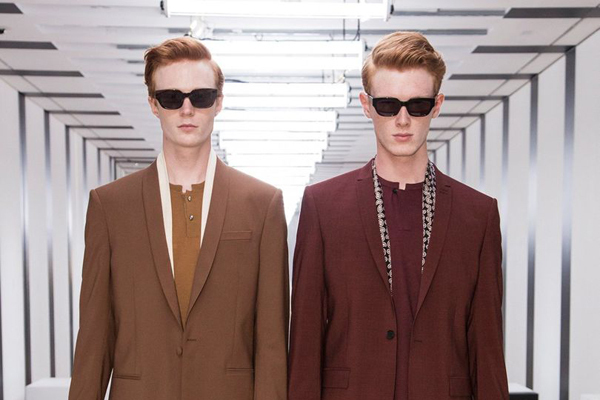 Men’s fashion is showing an increasing Asian influence. The kimono for men is a refreshing trend for the boldly fashion-conscious. It is a beautiful, versatile item that looks great on slender men, as the cross-front broadens the torso. We also have a weakness for indigo fabrics. Our pick: The beautiful kimono shirt in Japanese cotton from Montréal brand Naked and Famous. Roomy t-shirts with round necklines, pants that are wider at the hips and very straight-cut jackets are back! Without swinging to the other extreme, clothes are a little looser and less fitted this season. Scandinavian brands are all the rage this year, featuring versatile clothing and accessories with minimal adornment. Monochrome is still in, all the better to create sharp lines. Our pick: The straight-cut raincoat. Incredibly popular, it gives any look that extra oomph. Brands are developing more and more techwear that can be worn day-to-day. The advanced engineering makes these a great pick for a sweltering or rainy day. Also, sneakers of all kinds are still very much in fashion this season. Our pick: The incredible techwear by Theory and Vince. Trendy colours: Stone, pale pink, violet, very light denim and green, the colour of the year. Trendy patterns: Large checks, blocks of colour, repeating patterns, and stripes.